It’s usually pretty hard to dupe a sitting U.S. Senator; they tend to be pretty smart cookies, given where they’ve managed to get in life. Not so for our Senator McSally, however. It seems that all you have to do is tell her exactly what she wants to hear. But then again, Arizona’s voters didn’t elect her – they rejected her, in fact, only to be defied by Governor Ducey. But Senator McSally needed so badly to hear that $150 million worth of projects at Arizona’s military bases would not be impacted by Trump’s unconstitutional diversions to pay for his wall. She needed some rational justification to vote against the Democrat’s brush-back of Trump’s power-grab to fund his Wall, thereby violating her oath office to protect and uphold the Constitution. She found that rationale in “assurances” from the “Pentagon” that her ox would not be embarrassingly and publically gored. 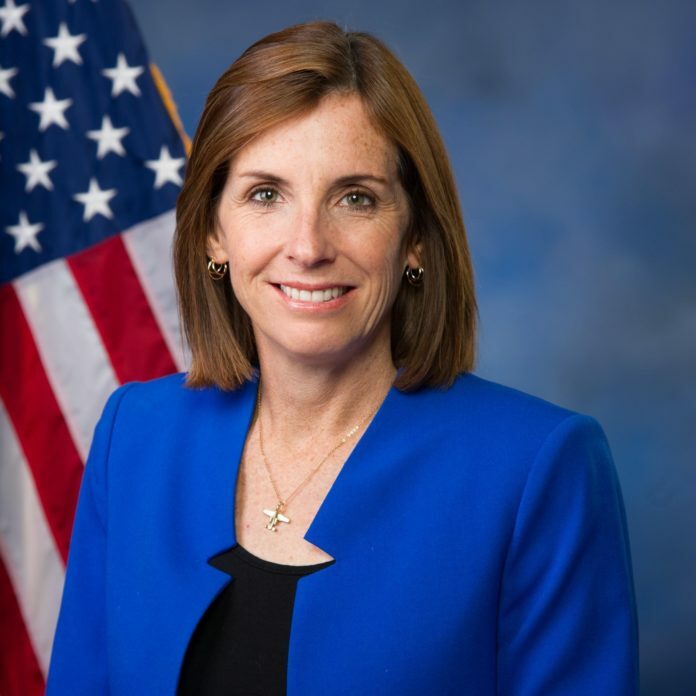 McSally said last week that she would vote against the measure because she had received “assurances” from the Pentagon that four military projects that were covered by Fiscal Year 2019 appropriations in Arizona would not be affected. During a Senate Armed Services Committee hearing on Thursday, she asked acting Defense Secretary Patrick Shanahan about those projects. “We did have a conversation, and there are four projects in Arizona that are appropriated in FY ’19, and you broadly said those FY ’19 projects across all the country will not be impacted by this, just to be clear, correct, Mr. Secretary?” she asked. “That is correct,” the DOD head said. This assurance is surely a lie, for how can the President transfer the billions he needs for his wall while not impacting any of the FY ’19 projects? He cannot. Despite those “broad,” but absolutely empty, assurances, the list of bases which are going to be chosen among to bear the brunt of the President’s illegal reprogramming of construction funds contains five Arizona bases with up to $150 million in cuts among them. So, even if you believe the acting SecDef that FY 2019 projects in Arizona, totaling about $120 million, will “broadly” not be affected, what of those in FY 2020? Specifically, Ft. Huachuca has a $30 million project on the block that starts May 2020. Presumably, since it is not scheduled for FY 2019, it is not covered by the Acting SecDef’s “broad” assurance that Arizona will not suffer from any cuts. I guess a $30 million dollar project at Ft. Huachuca is of no concern to Senator McSally, since she received no convenient assurances about THAT project. Fortunately, we can judge whether the Senator was easily and/or willfully deceived by following whether any of these projects are cancelled or delayed should Trump try to move forward with his unconstitutional power grab. My wager is on McSally having been willfully deceived. Sen. Angus King of Maine asked Acting SecDef Shanahan if he had promised any senators that projects in their area will not be affected. But, I suppose he meant that “broadly,” not specifically our Senator McSally?